On August 21 Red Blanket Productions will present a rare revival of Stephen Sondheim’s musical Assassins at the Pico Playhouse in West LA. Director Dan Fishbach and actor/producer Zachary Lutsky, who plays assassin John Hinckley, recently took time out of their busy schedules to talk about the show. It is particularly relevant this year as we recollect the 150th anniversary of Lincoln’s assassination by John Wilkes Booth in 1865. 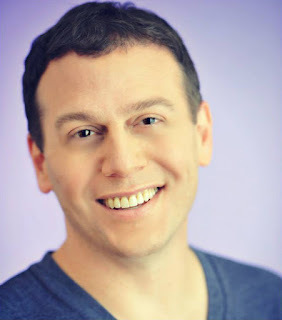 Dan Fishbach: Recent credits include The Maiden's Prayer, Private Eyes, Company, 25th Annual Putnam Co. Spelling Bee, HAIR, Bat Boy, Chicago, One Night Stand, International Tour (an improvised musical for Producer Marc Platt) and several productions at the Edinburgh Fringe Festival. Currently a professor at The USC School of Dramatic Arts (Directing & Musical Theatre). 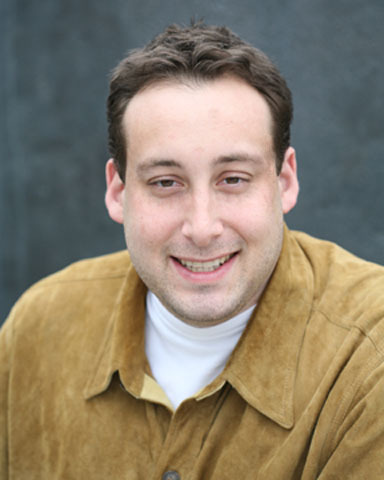 Formerly Head of Performing Arts at Harvard-Westlake School (2002-2006), Director of The Groundlings Theatre & School (2006-2008). 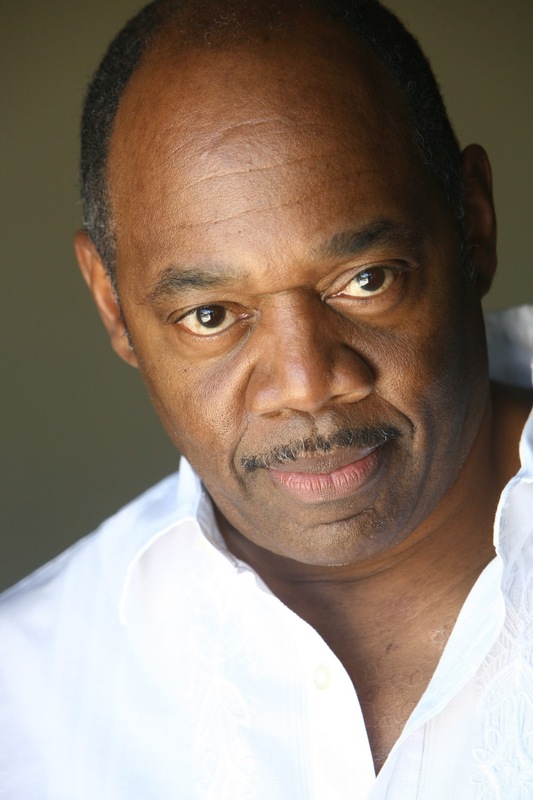 Has taught at CalPoly Pomona, Santa Monica College and lectured extensively about the History of Musical Theatre. 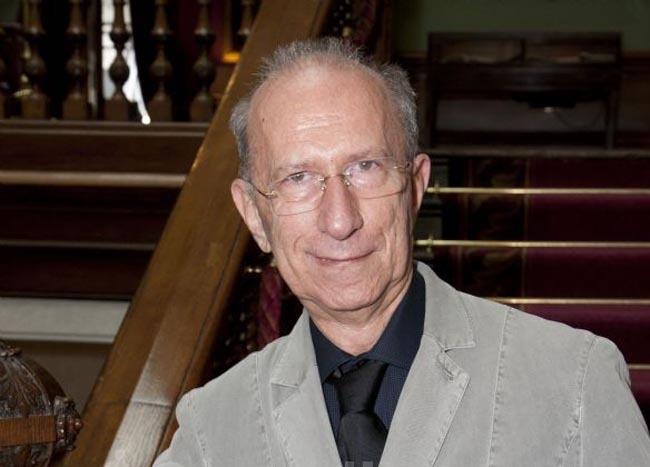 As a producer he produced the play An Oak Tree at The Odyssey Theatre, which was described by Variety as “A celebration of pure theater’s power”, Impro Theatre’s Impro Unscripted (Odyssey) and nearly 30 shows at the Edinburgh Festival. He is an alumnus of Director's Lab West. Degree from Kenyon College. Member SDC. Zachary Lutsky: Zach is thrilled to be working with the amazing cast and creative team behind Assassins. Some of his favorite roles include Harry in Company, Nathan Detroit in Guys and Dolls, Mr. Mushnik in Little Shop of Horrors, and Albert in Bye Bye Birdie. During the day (and too often nights) Zach can be found working as a doctor in the ER. He also has worked as a writer, medical consultant and actor on such shows as “ER,” “Parenthood,” “A Gifted Man” and “Scandal.” He is currently a writer/producer on NBC’s “The Night Shift” in its third season. Special thanks to Liz, Jacob and Emma, for their enthusiasm and support. For Grandma Florence, who inspired his love of theater. In the past, have you worked together doing theater – and if so, how and when? DF: We have talked about doing a show together for a couple years now. Zach’s been eager to produce something. He initially approached me about doing In Trousers, which didn’t work out. We then talked about The Last 5 Years, and Parade before agreeing on Assassins, and I’m thrilled that we did. How did the idea of producing a musical first get hatched? ZL: As mentioned, I have had a deep passion for musical theater since my high school years. I have long fantasized about producing a musical. But as a doctor and TV writer there has not been any time to make this dream come true. In the meanwhile (meantime? ), I have long supported and envied Dan's work directing plays and musicals at the college and professional level. When it turned out that the show I am currently writing on was going to be on hiatus for a few months, I saw my opportunity and finally approached Dan about working together to produce a musical. I knew he too loved Sondheim and with his extensive experience would be the perfect collaborator for this endeavor. Fortunately, he was interested and we started working on it immediately. It seems clear that you both enjoy musicals by Stephen Sondheim. However Assassins is not one of his most popular works and when first produced, was not a successful venture creatively or financially. The musical later picked up steam with a production in London, and was revived in New York, earning five Tony Awards in its first revival. That being said, why choose Assassins and why now? DF: As a director, Assassins appeals to me because for the very reason that it was not a financially successful venture: it’s not traditional musical comedy fodder; it asks us to look at a very dark side of America’s history and our present, and to look at these assassinations not from the outside but from the inside. It asks us to step back before the moment of assassination to view the circumstances that provoke unthinkable violence. They’re questions that regularly surface today with the regular gun violence in our country, and questions that even today, in real life, we hesitate to answer. This show forces us to look at those questions, without ever really answering the questions. It does what Sondheim and his collaborators do best: make an audience look inside themselves and think. That, to me, is the most exciting kind of theatre. ZL: It is true Dan I are both huge Sondheim fans and this show popped in my head almost immediately when I thought about producing a musical. I love that it is so unique, so rarely done and that ONLY Sondheim would have the brilliance and confidence to attempt to write a musical about people who murder presidents. Who would ever think that that topic could be so entertaining, funny, moving and even lend itself to song and dance. Another aspect of this piece that I found attractive is that it is an ensemble show. We have been able to pull together a very diverse group of actors and have been blown away by how their individual talents have melded together. Finally, I feel that its message and themes are still very relevant today. The show explores what happens to sick minds when they are confronted with the reality that most people will never achieve the American dream that we are all promised. Looking at all of the horrific violence in our country today, we see the modern manifestation of this realization, when certain individuals, hopeless and disturbed, lash out in grotesque ways against the country they feel has betrayed them. The Balladeer belts out early on in the show, "Listen to the stories. Hear it in the songs. Angry men don't write the rules, and guns don't write the wrongs." I often think of these lyrics when yet another gun-related tragedy pops up on the evening news and pray that one day the world will know this truth. Red Blanket Productions presents the multi-Tony Award-winning musical Assassins with music and lyrics by Stephen Sondheim, book by John Weidman based on an idea by Charles Gilbert, Jr. directed by Dan Fishbach, music direction by Anthony Lucca, and choreography by Lili Fuller. Disturbing, alarming, and eerily funny, Assassins is perhaps one of the most controversial musicals ever written. Stephen Sondheim, the great genius of contemporary musical theater, with stand-out shows such as Sweeney Todd, Into the Woods, and Company, leads audiences on a tuneful review of Presidential assassins and would-be killers from John Wilkes Booth to John Hinckley. Thought provoking and darkly delightful, Assassins won five Tony Awards in its first revival on Broadway. The cast includes the talents of Claire Adams, Jeff Alan-Lee, Sean Benedict, Janna Cardia, Cole Cuomo, Dominic De Armey, David Gallic, Adam Hunter Howard, Jason Peter Kennedy, Zachary Lutsky, Sandy Mansson, Nick Tubbs, Bryan Vickery, Selah Victor, Travis Rhett Wilson, and Paul Wong. Director Gregg T. Daniel returns to The Group Rep to direct Eric Simonson’s critically acclaimed play LOMBARDI based on the book When Pride Still Mattered: A Life of Vince Lombardi by Pulitzer Prize-winning author David Maraniss. In our conversation, Gregg talks about the play, his fascination with the nature of greatness, and what he’s been up to as a director. When did you take an interest in directing? While I was in college, I worked for a number of years as a counselor at a summer performing arts program in East Harlem. The program provided neighborhood youth classes in Art, Music, Dance & Drama. I was in charge of the Drama Division. The program culminated in a fully mounted production utilizing all of the departments. One year, the program director asked me to direct the stage production. After that, I was hooked, the challenge of bringing various disciplines together into a cohesive whole thrilled me. What was the first play you directed and how did it go (or what did you learn from the initial experience)? I believe the first play I directed was the musical, “The Me Nobody Knows.” It was an enormous amount of fun working with a musical director, a choreographer and a scenic artist. We were all very young and thankfully were willing and open to learn from each other. How did your directing of the Group Rep’s production of LOMBARDI come about? I’ve developed a very fulfilling artistic association with the Group Rep. GRT’s Co-Artistic Director, Larry Eisenberg continues to invite me back and is willing to consider material I’m interested in. Lombardi is my fourth product with GRT. I was watching the sports channel ESPN one night and stumbled on a two part documentary about Vincent Lombardi. I was fascinated by the man and his accomplishments. I remembered there had been a play on Broadway a few years prior about Lombardi. I acquired Eric Simonson’s script and brought it to Larry. In addition to being a working actor, you also directed plays for Lower Depth Theatre Ensemble, a company you co-founded. What plays did you direct for LDTE and tell us a bit about how they relate to the mission of the LDTE Company? A central part of LDTE’s mission statement is mounting material, “through the lens of the artist of color.” We look for plays that explore stories of the Black Diaspora. For LDTE, I’ve directed, “Three Sisters After Chekhov” by Mustapha Matura. It’s an adaptation of Chekov’s work set in1941 Colonial era Trinidad. The play is a wonderful reimagining of the original work with people of color squarely at its center. I’ve also directed, “Elmina’s Kitchen” by Kwame Kwei-Armah, a powerful work set in London’s East End about three generations of black men within an immigrant family. You recently directed the well received, award-winning production of WEDDING BAND for Antaeus where you are a company member. How did that rarely seen play come to be a part of Antaeus’ season? My wife, Veralyn Jones is also a member of the Antaeus Company. She brought the play in. We’ve both admired the work for a long time and longed to see it revived. Antaeus encourages its members to bring in material they’re passionate about and arrange a reading for company members. If there’s enough interest in the work, the play may receive a staged reading open to the public. WEDDING BAND went through that process. Ultimately, the Artistic Directors decided it was a work which the company wanted to produce. What do you see as possibly being a challenge with the direction of Lombardi? It’s hard to present a play about sports on stage especially a sport as physical as football. When you’re in a football stadium, there is a visceral reaction to the sights and sounds around you. It’s intoxicating. I want to bring some of that athleticism of the players and the excitement of the game to a stage production. What do you want the audience to take away with them having seen the play? I’m interested in the play as a look at the nature of greatness. What are the unique ingredients which breed greatness in a person? I’d like the audience to possibly reflect on not only what they find great in others but in themselves as well. What’s up next for you as an actor and/or as a director? Next up I’m directing a production of the Pulitzer Prize-winning play, FENCES by August Wilson. I’ll be at the International City Theatre in Long Beach. It’s been 30 years since the play’s initial production at the Yale Repertory Theatre. It’s also the theatre’s 30th anniversary season. Is there anything else you’d like to share about the play LOMBARDI that you would like people to know? You don’t have to be a football fan to enjoy LOMBARDI, it’s a story anyone can enjoy. Additionally, Lombardi’s wife Marie figures prominently in the play. She was the glue that kept Lombardi and their family together. He may not have attained the greatness he did, if it hadn’t been for the determination of Marie Lombardi. LOMBARDI runs July 24 – Sept. 6. Fridays & Saturdays 8PM. Sunday Matinees 2PM. Appropriate for ages 12+. Admission: $25. Buy Tickets/Info: www.thegrouprep.com or (818) 763-5990. Lonny Chapman Theatre 10900 Burbank Blvd., North Hollywood 91601. The cast includes the talents of Bert Emmett, Christopher Hawthorn, Julia Silverman, Ian Stanley, Steve West and Troy Whitaker.